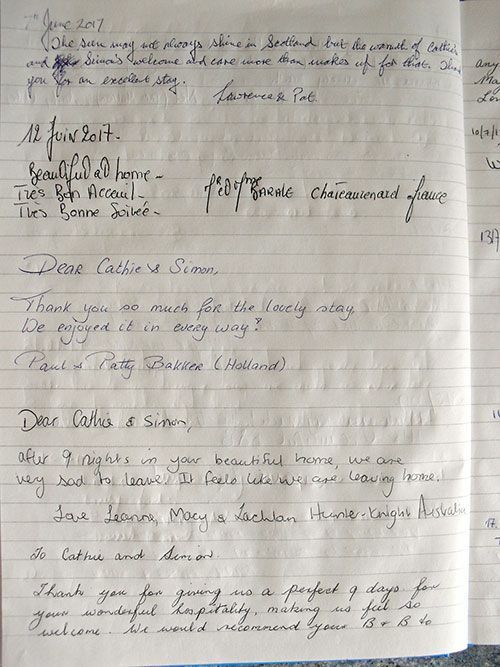 Hi, although I have only been open since early April, I would like to thank everyone that has visited here and hope that you all enjoyed your stay with me. 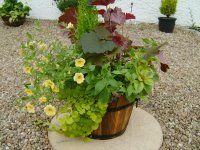 In particular I would like to thank Linda and Nick from Florida who stayed recently and gave me the beautiful planted barrel pictured on the left. Thank you for your wonderful hospitality. You have a beautiful place and heart. Everyone here in Balloch has been wonderful. We will be back and we will keep in touch. Love always and God bless! Thank you very much for our enjoyable stay with you. Stayed at the Time-out b&b and have no complaints. The b&b has been recently refurbished, the bedrooms are spotless, and is less than a two minute walk from Balloch train station. 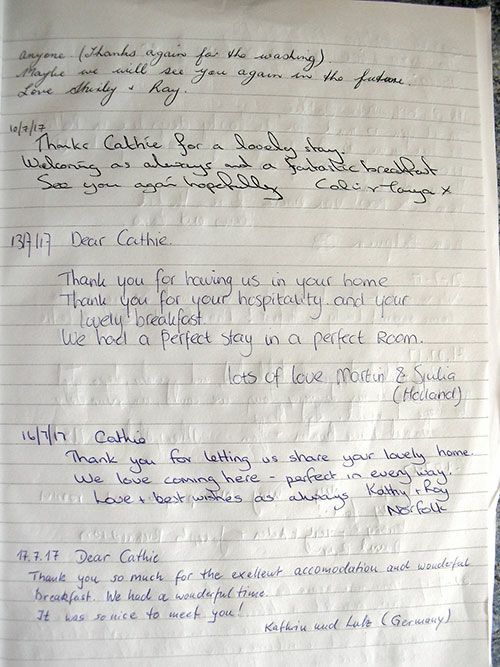 Cathie is your welcoming host, and is such a genuine person. We arrived early and where given our room straight away, no problems. The breakfast is full English, but you can request something different if required, the night before. Thanks, Cathie for the wonderful hospitality, and we wish you continued success. Thank you for your hospitality when we stayed at your accommodation on 05/06/10. Very comfortable, excellent facilities and a good Scottish breakfast. What more could we ask for!